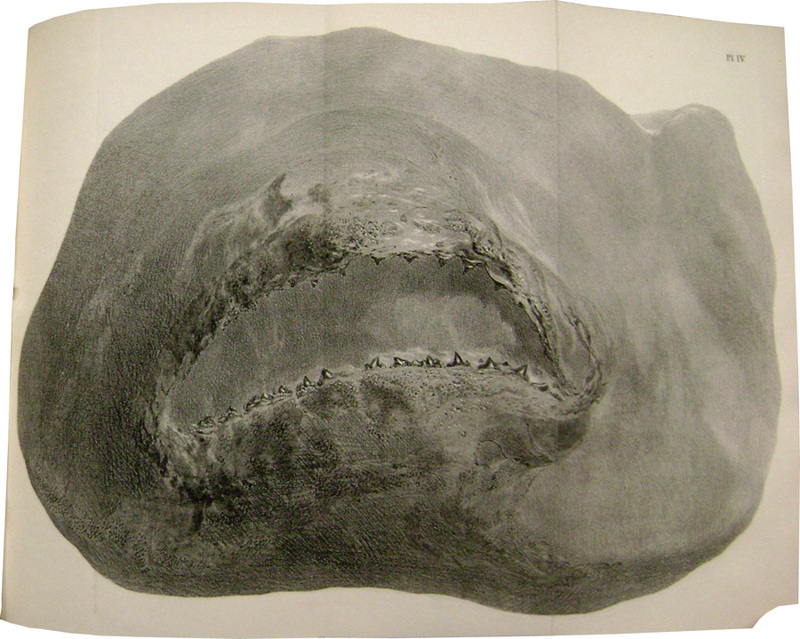 Photographed from copy of Proceedings of the Geological Society of London. Vol. IV (1846) at Cabot (Science) Library, Harvard University (12 February 2013). Note that this copy lacks the identifying caption at lower left; the volume appears to be reprint of several numbers, with a combined table of contents. In addition to his scientific drawing, Scharf was a wonderful lithographic chronicler of London during the decades 1820-1850 — street life, people, construction of buildings and streets, even signage. See the catalogue to the exhibition at the Soane Gallery: George Scharf : From the Regency Street to the Modern Metropolis, An exhibition curated by Jerzy J Kierku&cacute;-Bieli&nacute;ski. Sir John Soane’s Museum and The British Museum, 2009. Wikipedia points to an informative post at Jane Austen’s World.